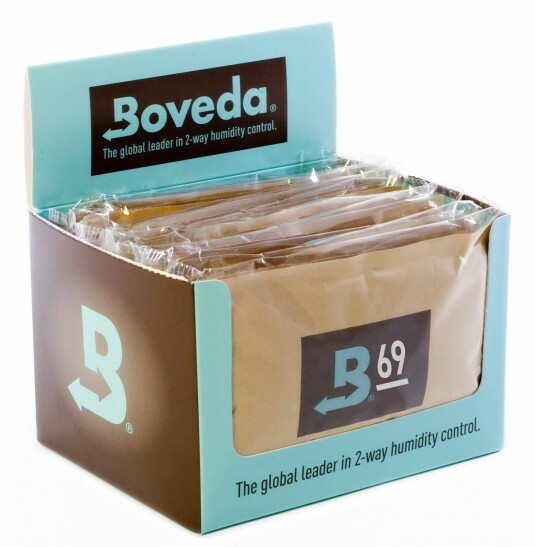 Boveda Humidipak’s two-way humidity control technology specifically designed for desktop humidors. The 4 different RH levels we carry are — 69%, 72%, 75%, and 84%(for seasoning)—allowing consumers to choose their desired RH level based on the type of cigars they smoke. 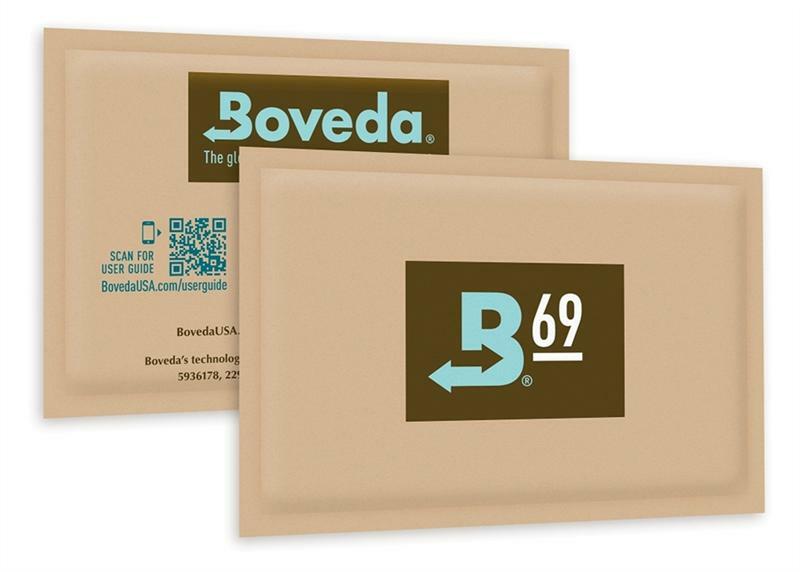 Boveda Humidification Packs are the world’s first and only 2-way humidity control for desktop humidors. 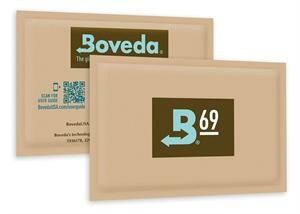 There is no better way to protect your valuable cigar investment then with Boveda. Humidity plays a vital role on how a cigar burns, tastes and your overall enjoyment. Boveda is incredibly easy to use, just remove the plastic and place the Boveda pack right inside your humidor. No more worries about filling up sponges, gels or beads. Once the packs dry out and can no longer be bent simply replace them. Keep few extra on hand as the packs only start working when the plastic overwrap is removed from the pack. Great for those traveling, throw a pack in your cigar travel humidor or humidor bag and you are good to go, never smoke dried out cigars again. Note: For wood lined humidors the actual Relative Humidity will typically be held a few percent lower than the level printed on the packet, tightly sealed travel humidors will keep percent as printed. 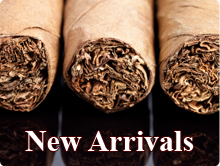 2 Packs are recommended for every 50 cigars your humidor can hold.